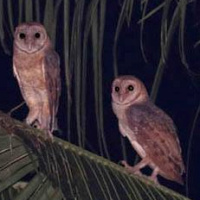 The Andaman Barn Owl is a medium-sized owl with no ear-tufts. 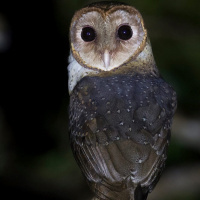 It is also known as the Andaman Masked Owl. Typical calls - Chalis Ek, North Andaman. January 2011. CC Pankaj Koparde. Description: The facial disc is vinaceous brownish, with a prominent, orange-brown rim. The eyes are blackish-brown, and the bill cream-coloured. The entire upperparts, including the wing-coverts, are dark brown with chocolate-brown patches and fine orange-buffish spots. The wings and tail are relatively short. The primaries, secondaries, and tail have a few narrow, darker bars. The breast is golden-rufous, with blackish spots, becoming paler towards the belly, which is whitish. Legs are feathered whitish-ochre to the base of the dark pinkish-grey toes. Claws are purple-grey. Size: Length 30-36cm. Wing length 250-264mm. Tail length 110-113mm. Weight data unavailable. 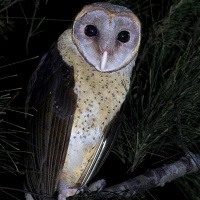 Habits: The Andaman Masked Owl is a nocturnal bird, leaving its daytime roost at dusk. Voice: A rather high-pitched, relatively short, slightly down-slurred, raspy screech lasting 0.5-0.7 seconds and breaking off abruptly - "sshreeet". Hunting & Food: Little known, probably similar to that of the Common Barn Owl. Bones of rats and mice have been found in pellets collected at daytime roosts. Breeding: The breeding habits of the Andaman Masked Owl are virtually unknown, but are probably similar to that of the Common Barn Owl. Habitat: Coastal areas, fields, near and in human settlements, semi-open landscapes with trees. 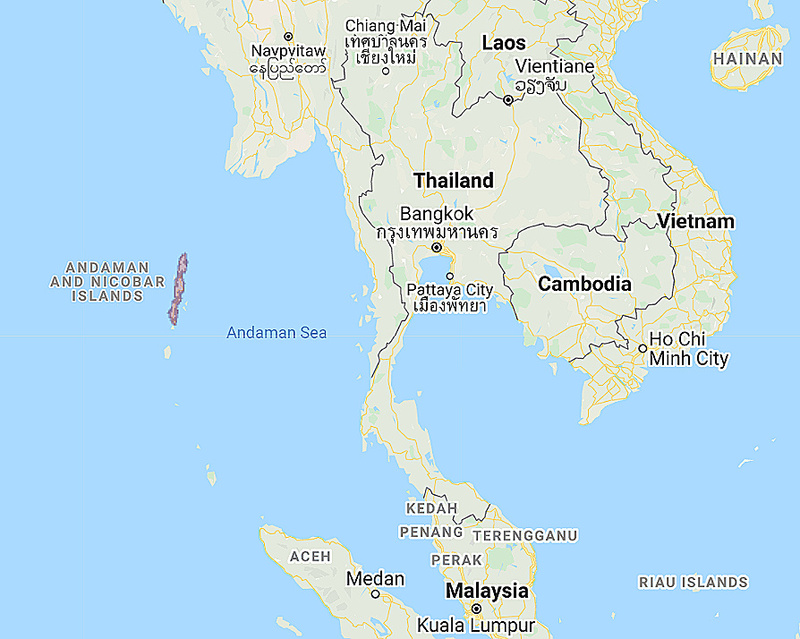 Distribution: Endemic to the Andaman Islands. Original Description: Hume, Allan Octavian. 1875. Stray Feathers (Str. Feath) 3: p 390-391.